With over billion of users, Instagram is now one of the most popular social-networking platform. It helps us to share photos and videos with our friends, family and other people from all around the world. Getting thousands or at least hundreds of likes on your Instagram post would be one of your dream as it was mine. You might be followed by many people but there will be hardly 10% who regularly likes and comments on your posts. Right? Anyways, if you are dreaming to get huge likes on your Instagram photos, then you are at right place. Here are few things you can do to improve your post visibility and unlock different ways to get more likes. People use hashtags for fun only but few know their real power. If used in right way, they can give hundreds of likes and comments on your Instagram photos. Basically, hashtags are used for categorization purpose. For example, if you will hashtag any post (say with #instapic), then it will appear in results when people will search that hashtag. So indirectly, they will increase the post organic reach and thus you will get more likes. Another benefit of using hashtags is, they can also increase your Instagram followers with follow-for-follow technique. To get likes on your photos, just add #instalike, #likeforlike, #instapic and other similar hashtags. Although you can add any number of hashtags in a post but to make it spam free and more user-friendly, use 15-20 only. Note that, your hashtags should be relevant to the post and popular enough. Target keywords that describes your picture. 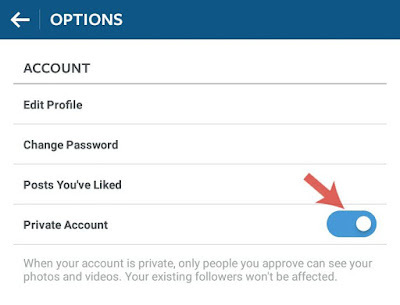 As like in Twitter, there is an option in Instagram which lets you make your account private so that limited people, those who you approve manually can only see your photos and videos. In private account, post organic reach is limited to approved followers only and there will be no use of hashtags as well. If you wants to get more likes on Instagram, then you should make your account public. To change your account privacy, first go to your profile and click gear button (for iOS app) or three dots (for Android app). Now make sure that "Private Account" button is turned off. That's it. Use #followforfollow, #followme, #instafollow and other similar hashtags. Connect your Instagram account with Facebook and Twitter. Start following some random people. Give a professional touch to your Instagram profile. To get detailed information on these tips, you can read my previous guide on how to increase your Instagram followers. Unique content is what people love the most. If you're presenting something new to your audience, then definitely they will like it and appreciate your efforts. But If you're trying to get likes on those old memes, then who cares. Literally, no one does. While creating a new post, always keep in mind what your audience wants and ask yourself whether it is worth sharing or not. Do a little research and then choose the content. Your followers would be waiting for your new posts, so be regular. You can also create something which can easily go viral like a funny video. Call to action is a note that works as a bait to engage people in your post. Adding a caption in your photo is a great way to engage with your followers and get more likes easily. Just write about the picture, ask questions, use smileys and include call to actions. Note that, your caption should be very short (ideally just 1 line) as no one has enough time to read the whole story. Post at the right time when most of the users are online and reply back to all comments as much as possible. Our primary purpose is just to improve the post engagement so that it can reach more audience. You can tag people in your pictures to remind them that you have posted a new update. Some people find it annoying and many times they ignore the post. Tagging can be helpful in a group photos. You can also geotag pictures on Instagram. When you add the location, your post will be visible in results when people will search that place (same as in case of hashtags). It will be more helpful to tag your photos in general locations like your country's capital or a popular coffee shop in nearby area. People searching for that place will find your photo there and probably they will like it and follow you. Tagging and goetagging is undoubtedly the best way to get the most likes on Instagram. By liking and commenting on other's pictures, you are increasing your profile's visibility, which in turn will give more likes on your photos. First start by liking every single post in your news feed and comment on all your friend's photos, so that they will also do the same for you. You can also target some random people like your friends of friends. Check your follower's activities and follow trending topics. Find most active Instagram accounts (one with less "followers" and more "following") and like 15-20 of their photos. Once they notice your activities, they may also like your photos and follow you. There are hundreds of third-party apps and websites available that can help you to gain more likes on your Instagram photos. They works in the same manner as Facebook auto likers works. Once you connect your account with these applications, you will start liking some unknown pictures and other users will like yours. You will find so many apps on App Store and Google Play Store by searching keywords related to Instagram likes. Before downloading them, make sure to read their reviews. Though I have never used these services but they really do work. The only problem is, there are many fake and spam apps out there which can harm your account. 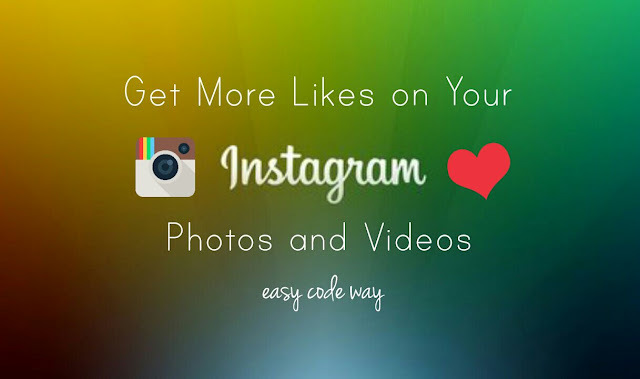 By following this guide, you can easily gain hundreds of free likes on your Instagram photos. Now show the world how famous you are. Happy Instagramming! If you would like to add something, feel free to share it in the comments below. PS: Don't forget to like your own picture. Every single like counts. lol!